How was your weekend? Mine was filled with cooking, eating and visiting. It was nice to spend time with friends and family and have few things to achieve. What I love about this blog is sharing traditional recipes with you, ones that are passed down through the generations. Today Tony and I made Lesco (Lecho in English, pronounced lech-oh). 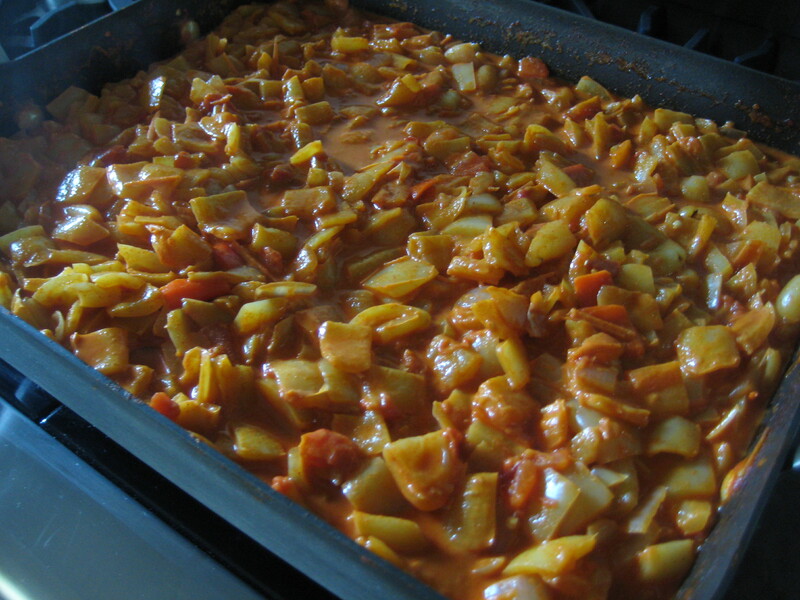 Lecso is a Hungarian pepper stew. I am lucky to have a husband that finds this to be a comfort food like I do. He was on and on about making some for winter, so we headed out to the farmers markets Saturday in search of sweet yellow Hungarian peppers, paprika and onions. Now when I say we made lesco, we made A LOT of lesco. 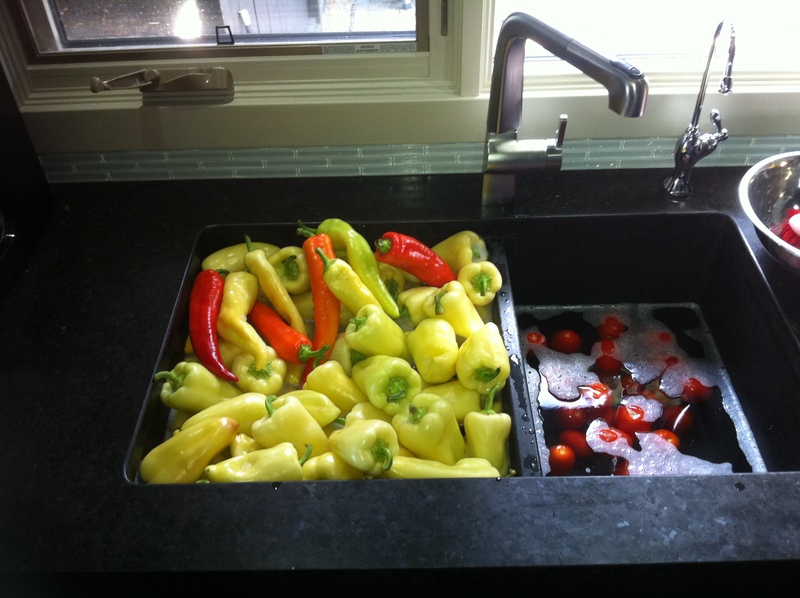 While at yoga T washed and prepped the peppers, 25 pounds of Hungarian peppers and a pound or two of hot banana peppers. I got home and it was straight to work. In two hours we chopped, sautéed and stewed. We kept some aside for dinner and packed the rest up in freezer bags for winter. My mom taught me how to make lesco a couple of years ago, she learned from grandma and developed our family recipe I grew up eating. This was my first attempt on my own, easy peesy, and it tastes just like moms :). Blanche the tomatoes, remove skin, chop. Saute the onion in olive oil until transparent. 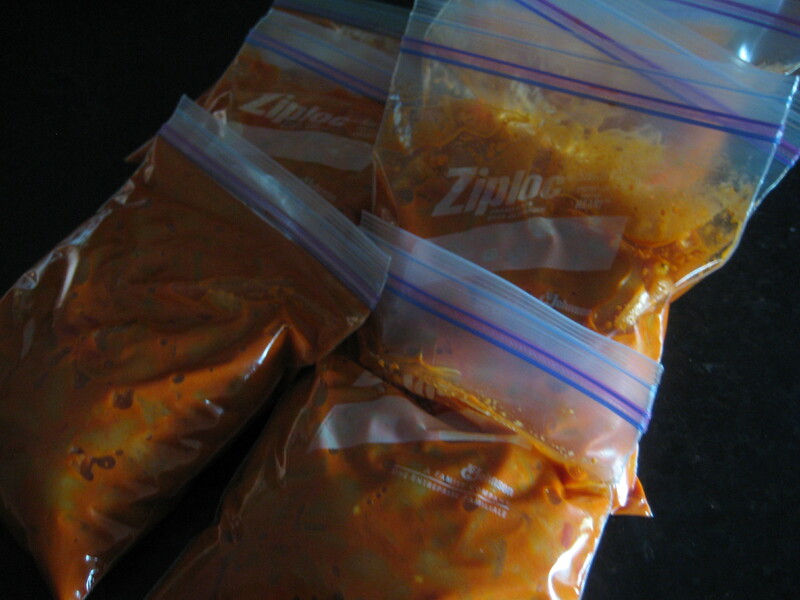 Add 1-2 tbsp of paprika and 1 tsp salt, mix. Add the tomatoes to the onion mixture, warm through. Set aside. In the meantime or after the onions are done, saute the chopped hot peppers in one pan and the sweet peppers in another large pot in olive oil. That way you can add the hot peppers to the mixture a bit at a time. Saute peppers until al dente. 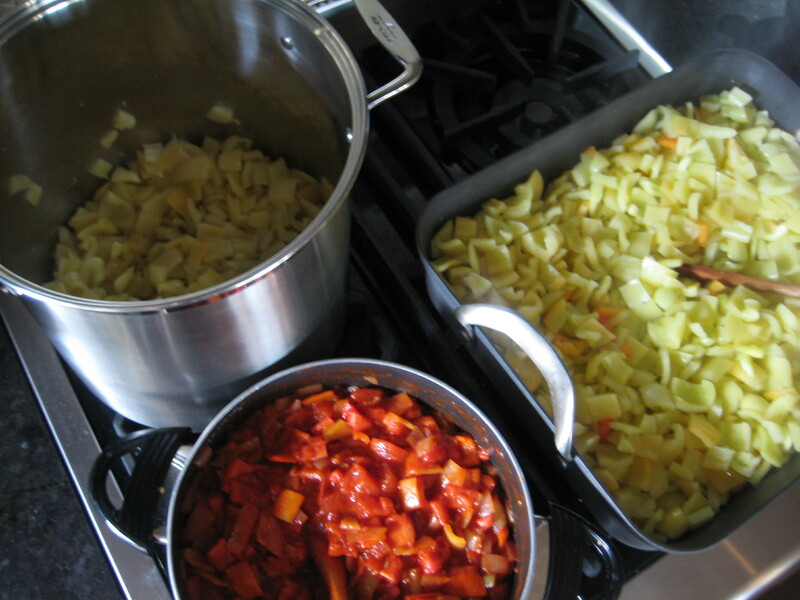 Add tomato-onion mixture to the sweet peppers, mix over low-medium heat. 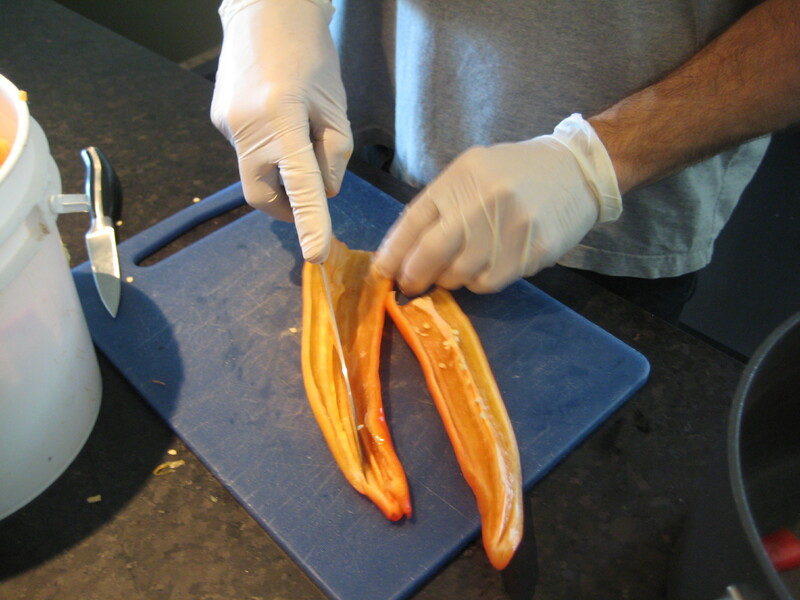 Add small portions of the hot peppers and taste until you have a heat level you like. If you don’t like hot, do add at least one hot pepper, it gives it flavour. Add 2-3 more tbsp of paprika, 1 tsp or more of salt to taste. Stew low-medium heat for 15-20 min. Add the sour creme, stir well. Eat fresh with fresh sour dough bread, mmmm. We had ours for dinner and packed the rest up for the freezer. If you are in Calgary and want Hungarian paprika, I found gorgeous paprika it at the Crossroads Market, at the Hungarian Deli. What traditional foods bring you comfort?